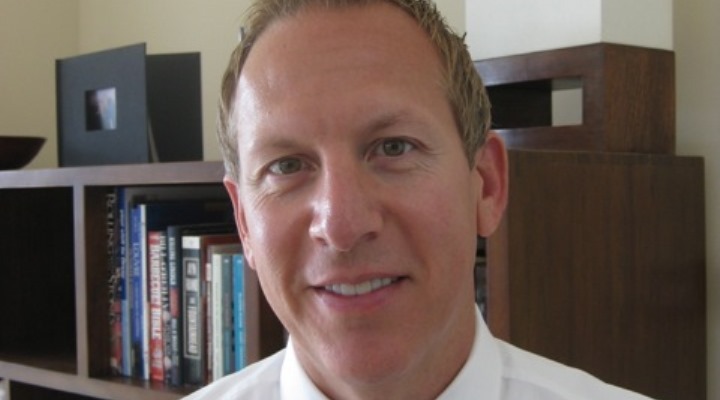 Scott Maichel graduated in 1992 from Northern Illinois University with a degree in Communications. After graduation, he was interested in pursuing a career in advertising, but was convinced by a friend to interview for a sales position with Automatic Data Processing (ADP). ADP is the largest provider of outsourced payroll services in the world. Not knowing much about the payroll industry, but intrigued by his friend’s recommendation, Scott interviewed and secured the sales position at ADP. Scott spent the next 10 years advancing his career within multiple divisions of ADP. He had many successful years achieving sales awards. One year, Scott achieved Board of Director’s status, which is awarded to the year’s #1 salesperson in the nation. After a successful 10-year career at ADP, Scott Maichel decided to join some friends who had left ADP to start their own payroll company. In 2005, Scott purchased an equity share in a small independent payroll company called AmCheck. Today, AmCheck is one of the largest privately held payroll companies in the U.S. with 12 locations across the U.S. and over 6,000 clients. The driving force behind Scott’s decision to go into business for himself stemmed from his desire to help other people. At his role at ADP, Scott was able to service his customers well, but by owning his own business, which was a fraction of the size of ADP, Scott felt he could make more of an impact with his customers by providing them a highly personalized service experience. After purchasing an equity share in AmCheck in 2005, I moved from Chicago to San Diego to start our first West Coast office. I recall when I moved into my first apartment in San Diego, it was completely bare because my furniture from Chicago would not arrive for another 10 days. So, for the first 10 days, I sat on the floor in an empty apartment, and whatever clothes I brought with me on the plane, making cold calls from my mobile flip phone. So literally, I started our West coast AmCheck office out of an empty one-bedroom apartment. The inspiration to own my own business had always been with me. Growing up in high-school and college I had my own business; painting, cutting lawns and even a coupon book business. In fact, on my first interview with ADP, I showed the recruiter one of my college coupon books. I explained the process of how I solicited businesses to offer coupons in the book and how I sold the books door-to-door to customers. Honestly, I think sharing that experience was one of the main reasons they hired me. Starting the office from scratch was difficult. The thing about owning your own company is nothing happens as quickly as you would like. It took us 6 months to be able to afford our own office space and another year before we could hire our first employee. It took over 2 years before ownership could take a check. Finally, at the end of two years we were generating a profit. I never had moments of doubt that the company would be successful, however there were moments when I wished our progress towards that goal was moving quicker. Starting a new business requires long hours, working weekends and sacrificing time with friends and family. As I mentioned, it took over two years before I even took a paycheck. However, I always took my inspiration from the few clients we did have in the beginning stages of our business. I had great relationships and happy clients. 12 years later, the majority of my first clients are still our customers. The first customer called us. They were looking for a payroll service for their business and found us in the yellow pages (remember those!). They were located near L.A., so I drove all the way up there to meet them in person for a sales call. I remember the meeting wasn’t in a business building but at the owner’s home. It was a home-based business, but they had over 50 employees. Aside from it being a bit odd having a business meeting in someone’s home, the owner had a cat name “Mr. Bigglesworth” which kept climbing all over me during my sales presentation. At the time it was a bit unnerving, but now I just laugh about it. It’s one of my favorite stories to tell about how the business started. One of the best strategies we’ve ever executed was partnering with the local benefit broker community. AmCheck is the “Broker Advocate” in San Diego area. What I mean by that is, we have spent the last 10 years training and educating brokers on how to better compete against other payroll and PEO companies who are trying to take their business. Over the years, we have helped hundreds of brokers to save tens of millions of dollars in premiums for our broker partners. In addition, we have been very active in the benefit broker community trade group. The National Association of Health Underwriters (NAHU) is a non-profit national organization which has local chapters in all major U.S. cities. The local San Diego non-profit Chapter is called the San Diego Association of Health Underwriters (SDAHU) and consists of 300 local benefit professionals. I have been an active member of SDAHU since 2008. I have been on their Board of Directors since 2010 and held several positions including President Elect, President, Past President, VP of Member Retention and VP of Membership (current). I also travel to Washington D.C. every year with a delegation from SDAHU to lobby on behalf of benefit brokers. I donate over $10,000 a year to the organization and I was personally named SDAHU’s “Partner of the Year” in 2017. Because I have been so involved in bringing value to this non-profit organization and their membership over the years, AmCheck has earned the credibility and respect of the local broker community. Our benefit colleagues know AmCheck is a partner for the long term and not just another payroll company looking for referrals. They know AmCheck is passionate about supporting our local broker partners. One of the most difficult decisions we’ve had to make recently was moving away from a long-time vendor. For many years the service they provided us was excellent. Over the past year the service levels had deteriorated. Every month we would communicate what we felt was good about the service and what needed improvement. Some months things would improve and some months it would not. Finally, even though we liked the owner of our vendor (and still do) we had to make a tough business decision and move to another vendor, because in the end, the service issues were affecting our ability to properly service our customers. I think being organized, being a good time manager and the ability to say “no” are all key factors to my success. In being organized, I love to make lists. I mean the hard copy lists in a notebook. I do it that way because I love to cross things off my list once they are completed. I get a weird sense of satisfaction from that. In being a good time manager, you need to be organized to manage your time well. You need to plan. When I see people, who are “so busy” that everything is rushed and last minute…What I see is a person who is poor at managing their time. Lastly, I believe in saying “no”. There are so many things that compete for our time on a business and personal level. You must know what things are important and what things are not. You cannot be everywhere and everything to everybody. Prioritize what’s important and say “no” to the rest. In our second year in business I was competing for a very large deal against my old firm ADP. It was a long sales cycle and I was at a disadvantage since ADP was a brand name our firm was unknown. However, I was able to demonstrate how my solutions were a better fit for the customers’ needs than my competitor. We won the deal. While I had a wonderful career at ADP and still think they are an outstanding company, it felt good to know I could compete with an industry leader. I’m most excited to continue our company commitment to creating a “culture of service” for our employees, our clients and our community. It’s always rewarding when your clients are happy, and they say nice things about you, but it’s also extremely rewarding to see our employees blossom and grow into their careers. The San Diego community had been very good to AmCheck and if that is to continue, we need to continue giving back to our employees and community. I really enjoyed Creating Competitive Advantage by Jaynie L. Smith. It’s a great book about uncovering, quantifying and articulating your differentiators. I’ve met numerous people in my career who really don’t know how their company is different. I also really enjoyed Start with Why by Simon Sinek. The book is supported by a great TED TALK where Simon explains how people buy “why you do what you do” and not “what you do”. This approach, along with being able to articulate our firm’s differentiators has been extremely instrumental in the way we position ourselves in the market. We recently purchased a full sized custom shuffleboard table for our breakroom. Our employees just love it! It’s a great way for our employees to blow off some steam when times get stressful. Also, the inter-office tournaments are great team building events. Work hard but remember to always make time for friends, family and yourself.